Q: What does SSDD Stand for? I have read Dreamcatcher and think it is one of King's most under-appreciated books. In an interview, King said his wife didn't care for it. King wrote it out on a yellow legal pad while he was recovering from getting hit by that van. 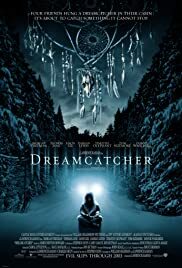 I have also listened to the audio version of Dreamcatcher, so all that remained for me was to see this movie. While I knew there were things in the book that probably wouldn't make it to the screen, I was pleasantly surprised by how many did. However some scenes were so brief they were little more than tributes. The cinematography was beautiful from start to finish, but where the first half of the film felt paced to perfection, the last half felt rushed. The ending was different than the book, so be prepared for a shocker. 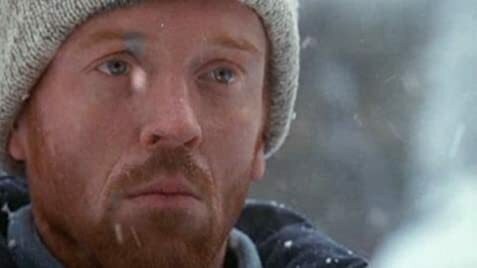 The acting was good, I particularly enjoyed Jason Lee as Joe 'Beaver' Clarenden and Damian Lewis as Gary 'Jonesy' Jones. A real disappointment was Thomas Jane as Dr. Henry Devlin. Pretty woody acting there. Before seeing this movie, I would not have believed that Morgan Freeman could play Kurtz. I was wrong. That guy can play anything. Unfortunately, He didn't get enough chances to flesh out this crazy S.O.B. Jonsey's dual nature was handled differently in the movie than it was in the book. Too bad. It was just right in the book, and was given a more "Hollywood" treatment in the movie. Note to the director: This movie failed because not enough time was spent introducing these characters and making us care about them. The notable exceptions to this where Jonesy and the Beav. 55 of 88 people found this review helpful. Was this review helpful to you?